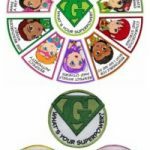 The Superhero program was developed by MakingFriends®.com. 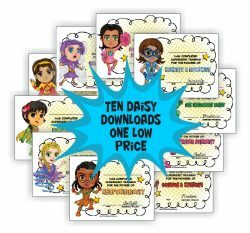 Our girl-led downloads and products are a fun for girls while saving time for leaders. 2 reviews for "10 Novice Superhero Downloads"
Wow, these are cute. I was looking for something to do with my 2nd year Daisies and this is SO it. It’s the coloring page, a little activity and a bit of a story or description of what the badge means with pictures. The stories in the GS book are so boring that I often just read a regular book to them. This is so much better. Thanks for putting together such great products at a good price. I love all of the printables and badge/journey in a bag sets, they help make planning so much easier!